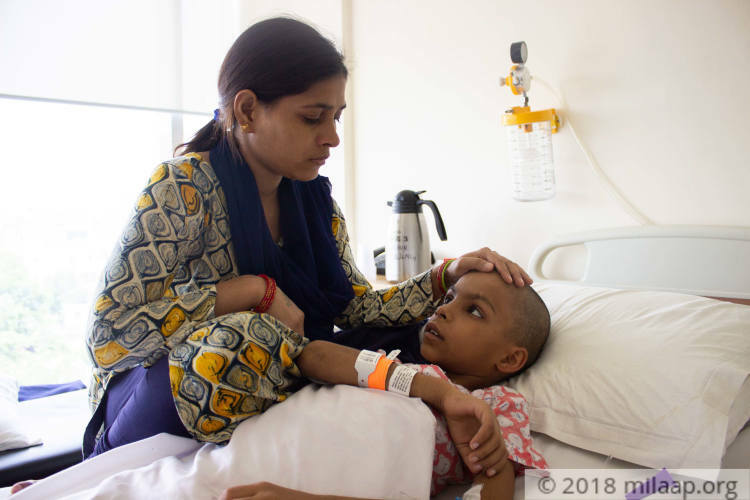 “I was nervously pacing up and down waiting for the doctor to call me back with my son, Anuj’s reports. I was shaking when I picked the call. I heard what I was most scared to hear. 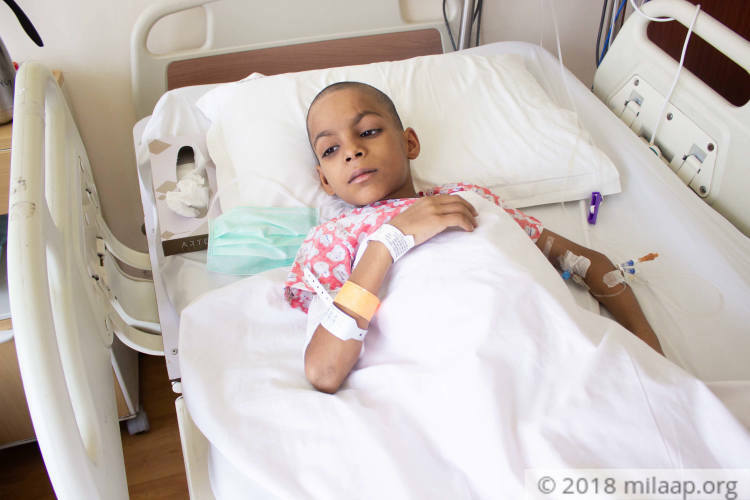 My 9-year-old son had cancer. His nose bleeding was not due to dry weather. It hit me hard that Anuj might only live for a few more days now”-Naresh, Anuj’s father. Anuj is the younger child of Naresh and Puja. While their elder son, Hari is the silent one, Anuj was always the naughty one. For the past one month, their roles have been reversed. Hari keeps asking his brother to play, but Anuj is too tired to even get up from his bed. Cancer has sucked the life out of him. 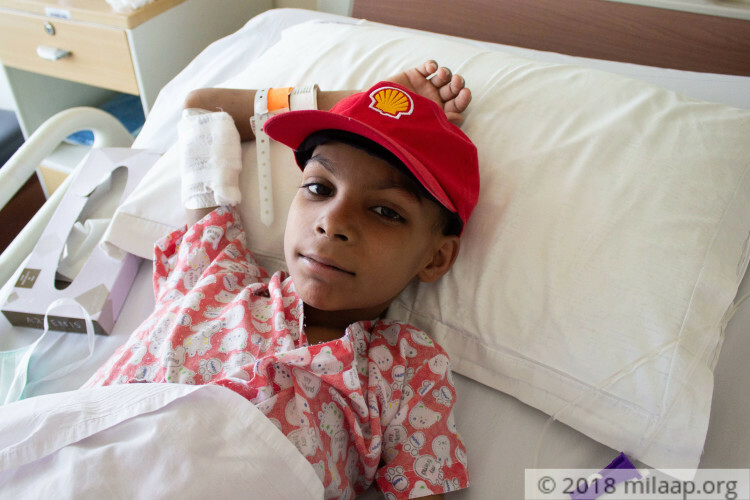 Anuj has acute myeloid leukemia, a severe form of blood cancer. He has constant fevers and bleeds from his nose sometimes. Due to the blood loss, he becomes too weak and loses his appetite. He has started losing weight too. He gets tired even if he sits and plays for a little longer. “My child’s condition was deteriorating. 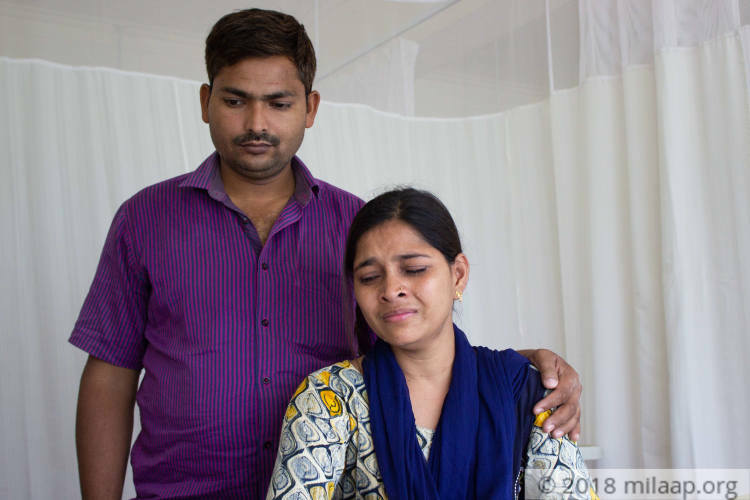 We had to move from our home in Agra and rent a room near the hospital in Gurgaon. He falls sick any moment and his condition becomes so bad that we feel like the night wouldn’t pass. We had to leave Hari back at home with my mother. None of my sons know that Anuj is fighting something so fatal. All they know is that he has blood infection and needs to get treated." Anuj hasn’t been able to go to school in his new session. He keeps asking his mother when can they go back to Agra. He doesn’t understand why he has to go through the painful process of chemotherapy and take medicines that make him weak. He doesn’t know why he can’t go to school like his brother. His parents have no answers to any of his questions. They don’t even know if they can take Anuj back home alive. Naresh works as a caretaker in a small shop and barely manages to earn Rs 7000. Puja works as a tailor and manages to earn a maximum of Rs 2000 a month. In just a month, they have already spent over Rs 2 lakhs which is almost twice what they earn in a year. Anoj is doing well. 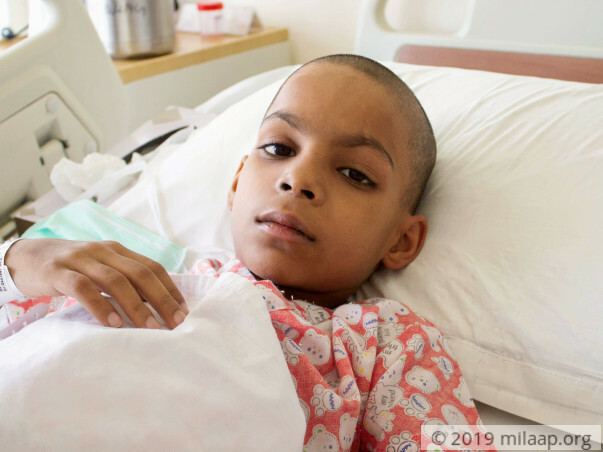 Anuj has successfully undergone the treatment and is recovering. He is discharged from the hospital and is at home now. We are awed by the overwhelming response from all the donors from India and across the globe. Out initial target was approximately Rs. 1,300,000. The campaign has collected Rs. 572,678 and we have utilized Rs. Rs. 393,272 for Anuj's treatment. Now, since Anuj has completed his treatment successfully, we wish to transfer the balance amount of Rs. 69,711.60 towards another needy patient, Master Ritesh: https://milaap.org/fundraisers/support-ritesh. We have spoken to Anuj's parents, and they have given us their consent to utilize the funds for Ritesh's treatment. Once again, we thank you all for the sincere wishes and contributions. Anuj is doing well and is completely fine now. He is discharged and is at home now. He had blood infection which was treated through medication. The doctors have asked us to bring him for a check up next month to see if he is doing fine and to rule out any possibility of infection.